The title at the beginning of this resume is a practical touch. 100% readability! 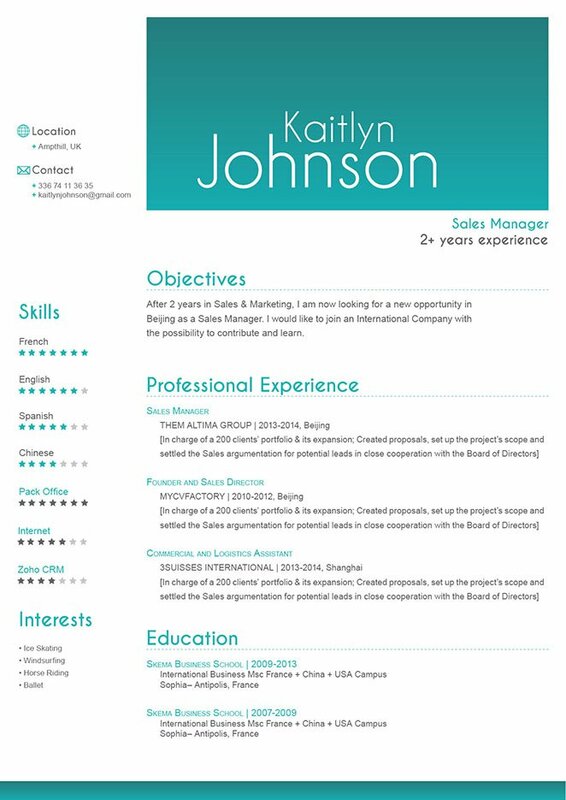 CV template to download "Exemplary"
The Exemplary resume perfectly presents all your past work experience in a clean and attractive format. The side bar panel below show all your contacts, interests, and of course your skills for the job! This Resume has a format applicable to any job type out there, employers can easily look at your past job experiences with ease and your skills are excellently pictured on the side. At the bottom, there lies your educational background which puts further emphasis on your qualifications for the job. In today's digital era, people expect a style of writing that is understandable and full conveys information with just a short block of text. Keep each paragraph of your resume short, but substantial. Emphasize points that are relevant for the job you're applying, make it clean and uncluttered so your readers can fully understand what you're trying to say. 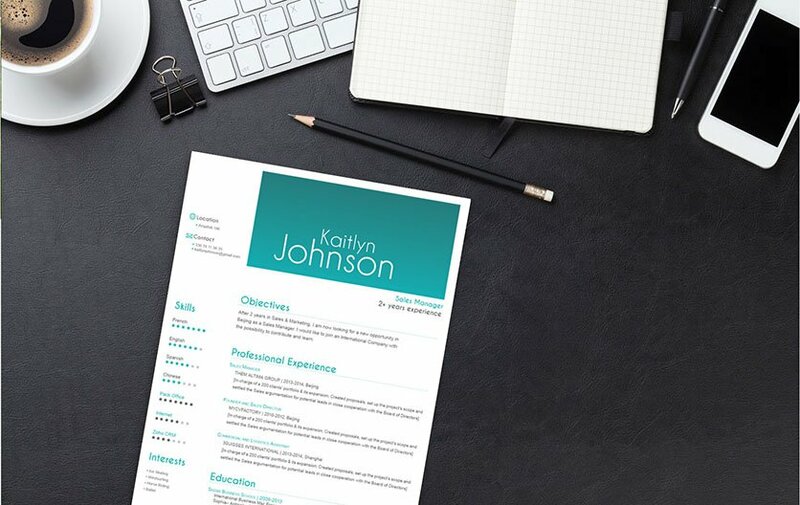 Most resumes are typically skimmed through the first way around, so it's best to have all the important information stand out the most. Put the essential and strong points of your resume where the reader will apt to read first. Placing your interests and objectives in a segment where it stands out can further compliment all of the other information in your cover- letter.